President Benigno Aquino III , Confirmed that he recently spoke to Senator Grace Poe which related to politics. currently the Chief Executive is in Canada for a three day state visit. In an interview with Aquino 's trip to Canada, the president refused to elaborate on the conversations they had with Poe. However , he said he will reveal the discussion with senator Poe at the right time. Aquino added, that he is open to all possibilities when it comes to the upcoming election and an alliance with other political groups. Because of this , the president said that his party would not be limited to the Liberal Party ( LP ) the selection of a bearer of the administration when it comes to the 2016 presidential elections. When asked if he is also open on the possibility to endorse an independent candidate , the president responded , "Possible ." In the previous survey, Poe leads the list of potential next vice president when the 2016 elections were held. Candidates on the next President of the Philippines, survey says that senator Poe, is also appeared in a that she and Vice President Binay, are in close fight for the next leader of the country. Poe said in an interview that she had not decided whether she will run in the upcoming 2016 elections. There are many discussion about that but those who say they have offered me, but its just a rumor? Poe said. The Senator added , "When it come to me, there are much more needs to pray to know what was best , how can i help." 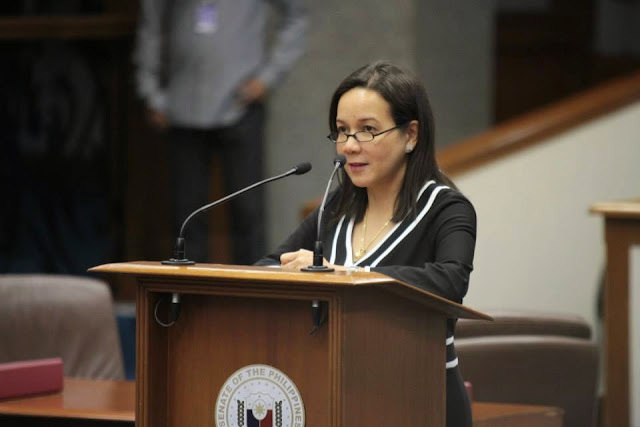 Earlier reported that senator Poe was courted by the LP to be partners of the Interior and Local Government Sec . Mar Roxas in 2016 elections . No Comment to " Senator Grace Poe And PNoy Talks Politics But Poe, Not Yet Decided To Run In The 2016 Elections "